There was a time when I looked forward to December as a time to slow down a little: sure, there were always extra parties to attend and shopping to be done, but my work calendar thinned out in the weeks preceding the end of the year. And on my emptier work days, I could look forward to a lighter To Do List and a few less meetings. Not so anymore. If your schedule feels like mine, you’re on a collision course with end-of-year deadlines. The To Do List is growing by leaps and bounds. Through our research at the Center for Values-Driven Leadership, we spend a lot of time asking leaders how they spend their time. One CEO of a Inc. 500 company recently told us he spends 75 percent of his time, or more, on developing a positive culture. Not on spreadsheets, or dashboards, or metrics (though he watches all those things carefully as well). The result is a fast growing company that outperforms its closest competitor by 40 percent. To Do #1: Foster a positive work climate. Specifically, positive leaders focus on creating environments that welcome compassion, forgiveness, and expressions of gratitude. Such expressions help transform people, which in turn helps transform the organization. To Do #2: Foster positive relationships among members. Kim and his colleagues found that creating positive mentoring relationships, and helping people find the right fit on the right team, went a long way toward achieving extraordinary performance. To Do #3: Foster positive communication. When given information about their best-self, their strengths, and their unique contributions, team members are able to capitalize on these strengths to the benefit of the organization. To Do #4: Associate the work being done with positive meaning. When people experience a sense of calling in their work, performance is elevated and individual well-being is enhanced. Leaders can help people see how their contribution is meaningful and supported. 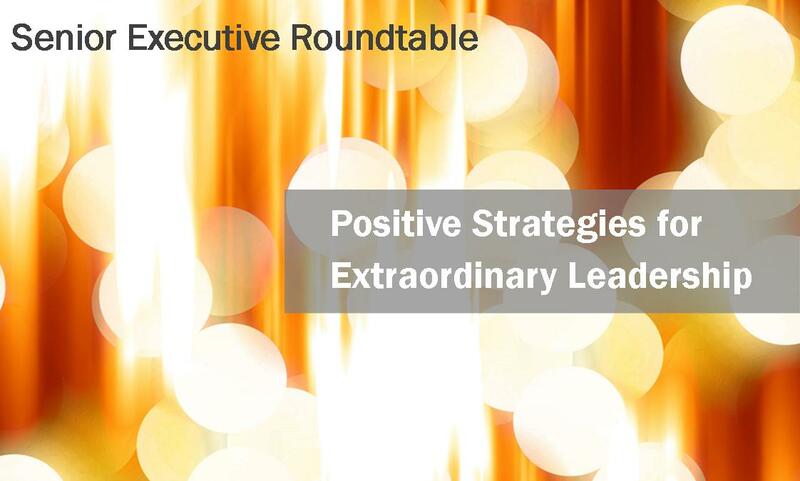 January 11, 2013 | 2 p.m. to 5:30 p.m.
Our speakers are global experts on positive leadership: Dr. Kim Cameron of the University of Michigan’s Center for Positive Organizational Scholarship; and CEO of the Beryl Companies and Inc. Magazine columnist Paul Spiegelman. Learn more and register today at www.cvdl.org/Roundtable. Amber Johnson is the Center for Values-Driven Leadership‘s corporate relations and social media advisor. She is a non-profit and small business communications professional. In addition to blogging about business for the CVDL, Amber writes about marriage and other topics on her personal blog.